*Juices like tomato, lime juice, clear soup, plain soda, diluted butter milk. *Fresh green salads and other vegetables except roots and tubers. *Refined oils- sunflower, sesame and soyabean oil are better than other oils. *Mayonnaise and other sauces made in vegetable oils may be taken in limited amount. *Egg white can be taken. *Lean meat, chicken, fish in limited amount provided cooked without fat i.e. boiled, steamed, roasted or baked. Chicken and fish (50 gm) not more than 2 times a week and red meat not more than once in 15 days. *Skimmed milk intake mot to exceed 500 ml in a day. *Fruits like guava, orange, papaya, water-melon, apple – 100 gm / day. *Fats like butter, ghee, vanaspati, coconut oil. *Puddings and cakes, pasties made in saturated fats or butter, ice creams. *Ham, bacon, yolk of egg, red meat, organ meats, crab, shrimps. *Milk products like cheese, cream. *Nuts like almonds, cashewnuts, pea-nuts. *Canned,tinned, preserved and processed foods to be avoided. *High calorie fruits like banana, mango, grapes. 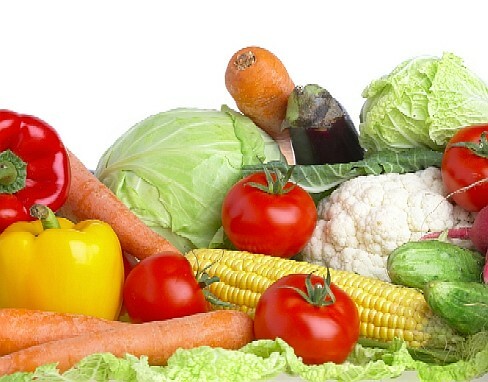 *High fiber food items like green leafy vegetables and green salads should form essential part of daily menu. *Inclusion of wheat flour with black channa flour or barley flour(4:1) is advisible. *Whole grams and pulses are preferable to polished ones. Sprouted or raw form should be taken frequently. *Wholewheat bread is preferable to refined flour bread. *Equal spacing of three major meals per day. *Free Food items should be taken between meals ar when ever hungry. *There is not hard and fast rule that can be followed. Every food item has to be judged in relation to the quantity of other food items being taken during the meals or being taken in a day. This entry was posted in Nutrition and tagged Low Cholesterol Food by Manbir & Gurpreet. Bookmark the permalink.